It’s said that being a parent is the most important job in a person’s life, and often the most difficult. As a parent, nothing is more important to you than your relationship with your child. When your role as a parent is challenged, the results can be tumultuous for you and for your child. When dealing with an issue as emotional and stressful as a child custody case, you need someone who understands your child is what matters most to you. You need an Oklahoma City child custody attorney willing and able to protect your parental rights. The Wirth Law Office’s Oklahoma City child custody attorney knows how to fight to protect your rights without making your child a pawn in a disagreement between adults. You deserve someone who shares your values and is willing to fight to protect those values. Don’t go through a custody battle alone. Call today to find the right family lawyer for you. Fewer areas of law are more complicated and open ended than child custody. The court’s job is to protect the best interests of the child. Your family lawyers’s job is to represent your parental interests as they affect your child’s best interests. Figuring out what is in the best interest of the child is the tough part. Every judge has a unique outlook on child custody cases. Make sure you go to court with an family lawyer who understands various judge’s approach. Find a skilled and knowledgeably Okalahoma City child custody attorney to help strengthen your child custody case. You need an advocate on your side who knows not only what arguments to present, but also the best way to present those arguments. 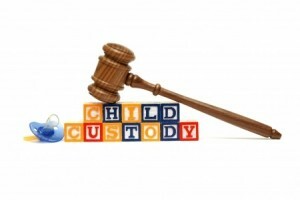 There are many pieces to a child custody case. It is time to get a family lawyer who knows how to put all the pieces together. Because child custody cases are so sensitive, it is important to find an attorney who will be firm and tough in standing up for your rights, but who also understands what you are going through. You deserve an Oklahoma City child custody attorney who treats you as a complete person, and just as an interesting legal case. The Wirth Law Office’s Oklahoma City family lawyer takes a firm and understanding approach to every child custody case. Find the lawyer that will listen to your side of the story. For a free consultation with an Oklahoma City child custody attorney call the Wirth Law Office- Oklahoma City attorney at (405) 888-5400. You can also submit an email question from the top right corner of this page. We will respond as quickly as possible to all questions.